See why starting your search for office space with us will be the best decision for your small business. If you’re wondering why starting your office space search with us is the best decision you can make for your small business, let us convince you. Taking advantage of our artificial intelligence technology as well as our virtual tour offerings makes the search process quicker and stress-free. As we continue to grow our platform throughout more cities across the United States, we pride ourselves in being the only commercial real estate platform to offer these virtual tours to small business owners and medium-sized business owners. With Chicago as the third largest city in the United States, there's certainly a lot of areas to explore and finding the right spot in Chicago can be daunting. In the past few years, River North has risen as one of the hottest areas in Chicago for office space. Many small business owners love the location - walking distance to so many of the city's great attractions, restaurants and more, and conveniently located near public transportation in Chicago. Take a look at UrbanMatter's article on some of the tech companies in Chicago that are flourishing in River North. 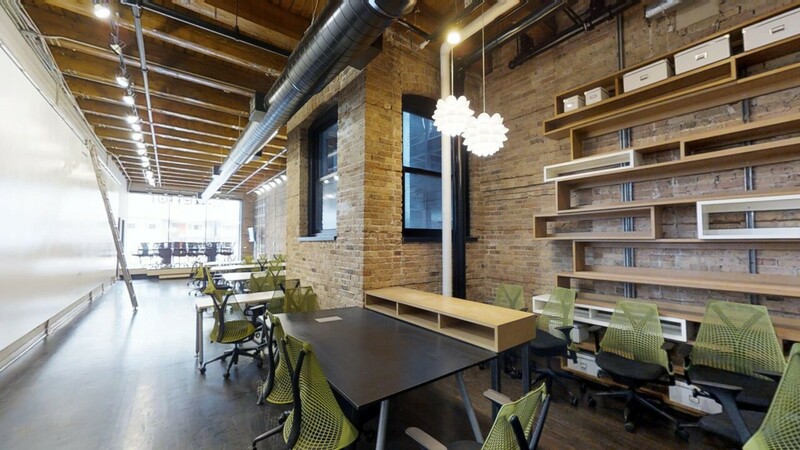 Our goal is to make the search for office space as convenient and flexible as possible. Couple that with our AI-enabled technology and 3D tours and we hope you'll find your next office space with us. One property in River North that we'd love to highlight is 153 W. Ohio and owned by Bradford Allen. Check out a virtual 3D tour of the property and let us know what you think.